The Honourable John McCallum, Canada’s Minster responsible for citizenship, announced proposed major changes to the Citizenship Act on February 25th, 2016. The net effect of these reforms is that it will become significantly easier for permanent residents of Canada (PRs) to become citizens. Here are the key changes. Firstly, under the new rules, PRs will become eligible for Canadian citizenship once they have amassed at least 1,095 days (three years) of physical presence in Canada during the five-year period preceding the date of their application. In 2015, the former Conservative government had changed the rule to four years out of six, whereas for many years previously it had been three years out of four. Combining these two changes will mean that, depending on the PR’s circumstances, he or she could possibly become eligible to apply for Canadian citizenship in as little as two years after gaining PR status. It must be emphasized that the Canadian government intends to keep physical presence in Canada as the only route possible for a PR to become a citizen in the vast majority of cases. This rule was enacted by the previous government of Mr. Harper. This rule allows of very few exceptions, such as in situations of foreign service at a Canadian mission abroad or with the military. The much broader exception which had existed from the 1970s, under which a PR could attempt to convince a citizenship judge that he or she had “centralized my life” in Canada to overcome a shortfall of days physically present in Canada, will not be reinstated by the Liberals. Proving physical presence in Canada is not always easy. Many people do not keep their documents, and even if they do so, they might not be very good at organizing or presenting their case. At Fogarty Law Firm, we often encounter persons who did their own applications or used other lawyers, and their citizenship files were rejected due to insufficient proof of their days inside Canda. It is always prudent to seek the advice of an attorney who is experienced in citizenship applications to at least review your file prior to submitting the application. Our attorneys will be able to guide you on kinds of evidence to support your file that you likely have not even thought of, and to help you put your best case forward. This can also help avoid delays in processing times. The key point to remember is that Citizenship department officials are not obligated to “fill in the gaps” in your application for you. The onus is on applicants to demonstrate that they qualify. Another proposed change regarding residency would abolish the so-called “183-day rule” that had been enacted by the Conservatives. This required PRs to establish that they had been physically present in Canada for at least 183 days in at least four calendar years during the six-year period prior to their application date. This rule was very cumbersome and a fundamental change in citizenship imposed retroactively on millions of PRs. The present author will be glad to see the 183-day rule on its way out. Changes are proposed concerning the obligation to pass a knowledge of Canada test and to demonstrate proficiency in either the English or French language. The applicable age group of PRs subject to these requirements will become from 18 to 54, rather than from 14 to 64 as had been imposed in 2015 by the Conservative government. Our Firm’s experience has been that the exam and language requirements are not particularly difficult for the vast majority of persons who take their files seriously and have truly established their lives in Canada. This change is thus one of convenience, not necessarily a game changer, for most files. The Liberal government is planning to delete the provisions of the Citizenship Act brought in by the Conservatives in 2015, whereby Canadians holding dual citizenship who had been convicted of certain terrorist acts could lose their Canadian citizenship. This proposed change by the Liberals has received a lot of negative comment in the commercial press. However, since it appears only one individual might have his citizenship reinstated under this proposed change, we will not comment on it. This article concerns proposed changes to the Citizenship Act which must make their way through the legislative process in the House of Commons and the Senate. 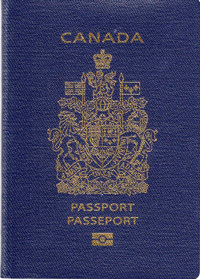 The Liberal Party campaigned on bringing a new style of government to Canada, and considering the importance of citizenship legislation, some changes may be made to these proposals before they become law. We invite you to read our Blog for future articles on citizenship and other important legislation. Canada offers unlimited possibilities for persons who may participate fully in its future as Canadian citizens. If you are considering applying for citizenship, take it seriously. Stephen Fogarty is an attorney who assists clients with their Canadian Immigration and Citizenship applications so they may secure their future in Canada. He is owner of Fogarty Law Firm in Montreal; website www.fogartylaw.ca. Fogarty Law Firm also provides specialized advisory services for musicians. Stephen is Honorary Legal Advisor to the Embassy of Ireland in Canada and has served on the boards of several community organizations. The views in this article are his alone and not those of any other person or organization. This article is for information purposes only and is not intended to give or to replace legal advice.